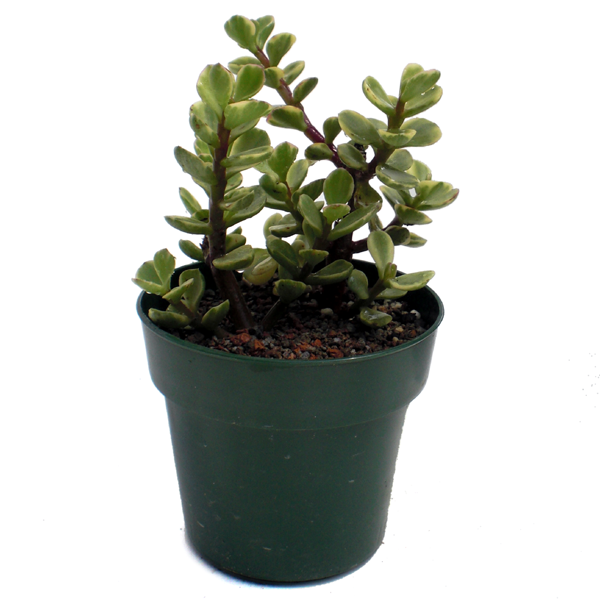 South Africans have a saying, “As long as your Spekboom (Elephant Bush) grows and prospers, so will your finances.” Fortunately, this plant goes to a ripe old age with very little care. Elephant Bush can be used in a dish or rock-garden as an accent plant or can easily (and quickly) be pruned into a beautiful bonsai tree. From South Africa.